Before feminism took its toll on the Indian society, there were many exceptional women who did not have the fancy of celebrating their bravery like we do today. Instead, they were shamelessly stereotyped for the freedom they chose for themselves. And amongst all these women, Mrs. Punita Arora is one of them. From a mere refugee to the first woman Lieutenant General of Indian Army, the journey of Punita Arora was not a bed of roses. She had to cross many obstacles to reach this destination of her life. 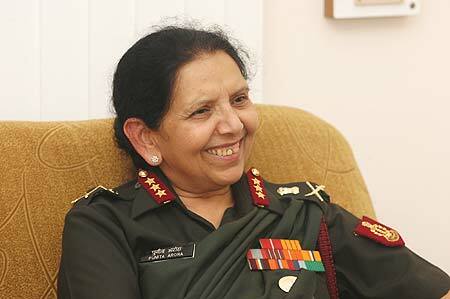 Let us hear out the story of the first woman Lieutenant General of Indian Army here. She was born into a Punjabi family of Lahore on 31st May 1946, just a year before partition. But soon after the partition of India on 1947, the family of Punita Arora had to depart for India when she was only a year old. Just like rest one million refugees, their family had to bear tough times when they had no other possession than a blanket and glass. However, as soon as the situation got a little stable, they settled in Saharanpur, Uttar Pradesh. The family of Punita Arora gave life a second chance, and she started her schooling in Sophia School of Saharanpur. After completing her 8th grade, she took admission in Guru Nanak Girls Inter-college. 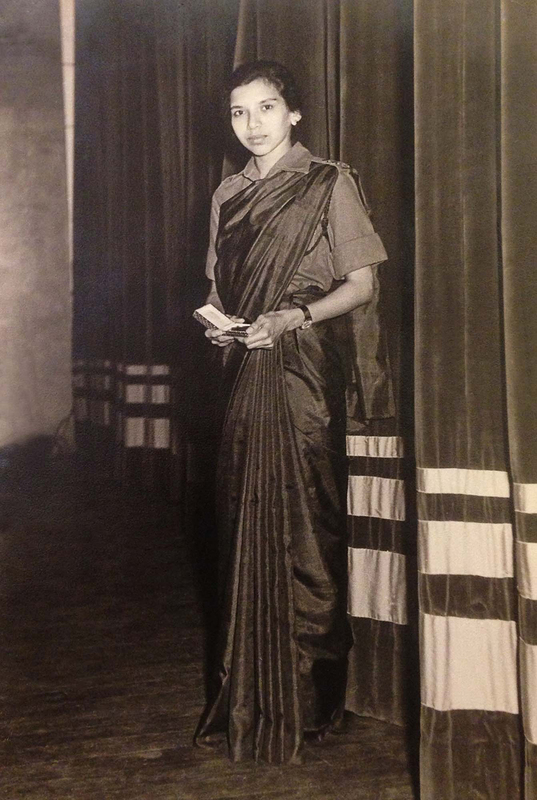 Soon, she decided to take science as her career option, and she joined Armed Forces Medical College in Pune in the year of 1963. After she topped the second batch of AFMC, she was commissioned in the year of 1968. She served at as Gynaecologist, and her first posting was in Fatehgarh. It was not easy for her. The twenty-one year old always lived in fear amongst the horror of dacoits in Fatehgarh. At that time, Fategarh was considered as a difficult posting. This place had no doctors and no hospitals back then. The nearest hospital was 6 hours away in Kanpur. She had to take care of the patient if they missed the only train to Kanpur. But the horror of the wild was nothing in comparison to the 1971’s war broke out with Pakistan. She was still posted in Fatehgarh and already married her doctor husband who was posted at the base hospital of Srinagar. She went to Srinagar to deliver her son and witnessed the preparations for war but never faced a war while she was in Fatehgarh. But all these events only gave her strength and confidence which kept her going. One of the most important turns on her career is the terrorist attack in Kaluchak of J&K in 2002. The terrorists targeted a bus carrying wives and children of soldiers and fired at them brutally. 7 people died on the spot. But the critical patients and the wounded were brought to the nearest hospital at once under the command of Punita Arora, and they were all treated with good care under her medical command. 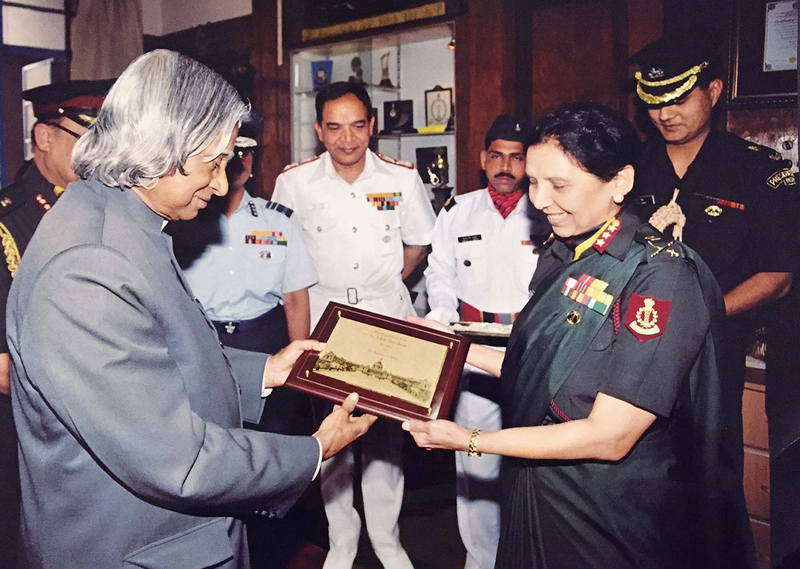 For unveiling her leadership quality, she was awarded ‘Vishisht Seva Medal’ by the President of India later. In 2004, she took charge of the commandant of Armed Forces Medical College and became the first woman to command the medical college. She also conducted researches on different medical facilities at the Army headquarter for which she received the ‘Sena Medal.’ Afterwards, she moved from Indian Army to Navy and became the Vice-admiral of Indian Navy. She has received more than 15 awards in her 36 years of career. She urges the young generation to take initiations and join the armed forces. Lieutenant General Punita Arora’s whole family is dedicated to the service of the Indian army; even her son is also a Dermatologist posted at the Air Force of India. While reminiscing her past days of glory, we can wildly conclude how hard was it for her to take such a bold stance when Army did not allow any girls. The incredible journey of Mrs. Punita Arora was an inspiration for the young generation, and it always will be.